01:42 Dr. Kirit Somaiya, ,Adsul, Shri Anandrao ,Lekhi, Smt. Meenakashi ,Mahtab, Shri Bhartruhari ,De(Nag), Dr. (Smt.) Ratna ,Thota, Shri Narasimham ,Singh, Dr. Satya Pal , Preliminary meeting of the Committee to Inquire into the Improper Conduct of a Member. Venue- Room No. 53, First Floor, Parliament House, New Delhi. 02:30 Dr. Kirit Somaiya, ,Adsul, Shri Anandrao ,Lekhi, Smt. Meenakashi ,Mahtab, Shri Bhartruhari ,De(Nag), Dr. (Smt.) Ratna ,Thota, Shri Narasimham ,Singh, Dr. Satya Pal ,Venugopal, Shri K. C. ,Venugopal, Dr. Ponnusamy , Further consideration of the subject matter by the Committee to Inquire into the Improper Conduct of a Member. Venue- Room No. 62, First Floor, Parliament House, New Delhi. (i) Shri Alok Kumar Verma, Commissioner of Police, Delhi (ii) Shri Mukesh Kumar Meena, Special CP, New Delhi Range (iii) Shri S.B.S. Tyagi, Additional CP, Security, Delhi (iv) Shri Yogesh Deshmukh, JS (S), PH (v) Shri R.C. Baijwan, Director (S), PH and (iv) Shri Devendra Yadav, Director (S) Rajya Sabha have appeared to depose before the Committee. 01:07 Dr. Kirit Somaiya, ,Lekhi, Smt. Meenakashi ,Mahtab, Shri Bhartruhari ,De(Nag), Dr. (Smt.) 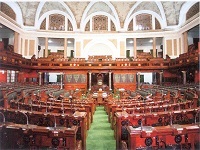 Ratna ,Thota, Shri Narasimham ,Singh, Dr. Satya Pal ,Venugopal, Shri K. C. ,Venugopal, Dr. Ponnusamy , Further consideration of the subject matter by the Committee to Inquire into the Improper Conduct of a Member:- Evidence of officials Venue- Room No.63, First Floor, Parliament House, New Delhi.Security Officials of Parliament Security Service (PSS) to depose before the Committee. 01:15 Dr. Kirit Somaiya, ,Adsul, Shri Anandrao ,Lekhi, Smt. Meenakashi ,Mahtab, Shri Bhartruhari ,De(Nag), Dr. (Smt.) Ratna ,Thota, Shri Narasimham ,Singh, Dr. Satya Pal ,Venugopal, Shri K. C. ,Venugopal, Dr. Ponnusamy , Further consideration of the subject matter by the Committee to Inquire into the Improper Conduct of a Member:- Evidence of Member and Officials Venue- Room No. 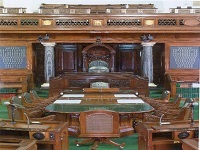 G-074, Parliament Library Building, New Delhi. Shri Bhagwant Mann, MP appeared before the Committee for evidence at 1500 hrs. 02:02 Dr. Kirit Somaiya, ,Adsul, Shri Anandrao ,Lekhi, Smt. Meenakashi ,Mahtab, Shri Bhartruhari ,De(Nag), Dr. (Smt.) Ratna ,Thota, Shri Narasimham ,Singh, Dr. Satya Pal ,Venugopal, Shri K. C. ,Venugopal, Dr. Ponnusamy , Further consideration of the subject matter by the Committee to Inquire into the Improper Conduct of a Member:- Evidence of Member and Officials Venue- Room No. 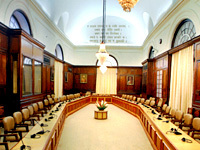 139, Parliament House Annexe, New Delhi. Shri Bhagwant Mann, MP appeared before the Committee for further evidence at 1500 hrs. 01:10 Dr. Kirit Somaiya, ,Lekhi, Smt. Meenakashi ,Mahtab, Shri Bhartruhari ,De(Nag), Dr. (Smt.) Ratna ,Singh, Dr. Satya Pal ,Venugopal, Dr. Ponnusamy , Further consideration of the subject matter by the Committee to Inquire into the Improper Conduct of a Member. Venue- Room No. 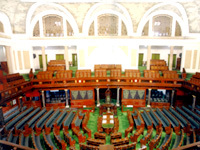 62, First Floor, Parliament House, New Delhi. (1) Shri Kishan Kumar, Security Officer (2) Shri Raj Kumar, Senior Security Assistant and (3) Shri Rajnish Kumar Rana, Senior Security Assistant appeared before the Committee. 01:40 Dr. Kirit Somaiya, ,Adsul, Shri Anandrao ,Mahtab, Shri Bhartruhari ,De(Nag), Dr. (Smt.) Ratna ,Singh, Dr. Satya Pal ,Venugopal, Dr. Ponnusamy , Further consideration of the subject matter by the Committee to Inquire into the Improper Conduct of a Member:- Venue- Room No. 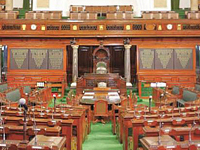 62, First Floor, Parliament House, New Delhi. 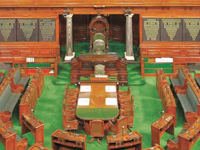 (i) Shri C. Babu Rao, Deputy Secretary, (PNO), Lok Sabha Secretariat to depose before the Committee (ii) Shri Yogesh Deshmukh, Joint Secretary (Security), and his colleagues Lok Sabha, to apprise the Committee. 01:10 Dr. Kirit Somaiya, ,Adsul, Shri Anandrao ,Lekhi, Smt. Meenakashi ,Mahtab, Shri Bhartruhari ,De(Nag), Dr. (Smt.) Ratna ,Thota, Shri Narasimham ,Singh, Dr. Satya Pal ,Venugopal, Shri K. C. ,Venugopal, Dr. Ponnusamy , Further consideration of the subject matter by the Committee to Inquire into the Improper Conduct of a Member:- Appearance of Commissioner of Police, Delhi. Venue-Room No. 63, First Floor Parliament House New Delhi. Shri Alok Kumar Verma, Commissioner of Police, Delhi appeared before the Committee. 00:45 Dr. Kirit Somaiya, ,Lekhi, Smt. Meenakashi ,Mahtab, Shri Bhartruhari ,Thota, Shri Narasimham ,Venugopal, Dr. Ponnusamy. Further consideration of the subject matter by the Committee to Inquire into the Improper Conduct of a Member:- Briefing by Security Expert. Venue-Room No. 53, First Floor, Parliament House, New Delhi. (1) Shri Vikram Srivastava, IPS (Retd. ), Former DG CRPF appeared before the Committee. 00:30 Dr. Kirit Somaiya, ,Lekhi, Smt. Meenakashi ,Mahtab, Shri Bhartruhari ,De(Nag), Dr. (Smt.) Ratna ,Thota, Shri Narasimham ,Singh, Dr. Satya Pal ,Venugopal, Shri K. C. ,Venugopal, Dr. Ponnusamy , To chalk out the further course of action. Venue- Room No. 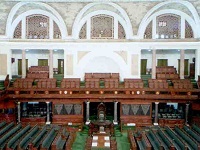 62, First Floor, Parliament House, New Delhi. 00:35 Dr. Kirit Somaiya, ,Adsul, Shri Anandrao ,Lekhi, Smt. Meenakashi ,Mahtab, Shri Bhartruhari ,Thota, Shri Narasimham ,Singh, Dr. Satya Pal ,Venugopal, Dr. Ponnusamy , Further consideration of the subject matter by the Committee to Inquire into the Improper Conduct of a Member:- Further evidence of Shri Bhagwant Mann, MP. Venue: Room No. 63, First Floor, Parliament House New Delhi. 01:15 Dr. Kirit Somaiya, ,Adsul, Shri Anandrao ,Lekhi, Smt. Meenakashi ,Mahtab, Shri Bhartruhari ,De(Nag), Dr. (Smt.) Ratna ,Thota, Shri Narasimham ,Singh, Dr. Satya Pal , Further evidence of Shri Bhagwant Mann, MP. Venue: Room No. 63, 1st Floor, PH New Delhi. Shri Bhagwant Mann, MP appeared before the Committee for evidence. 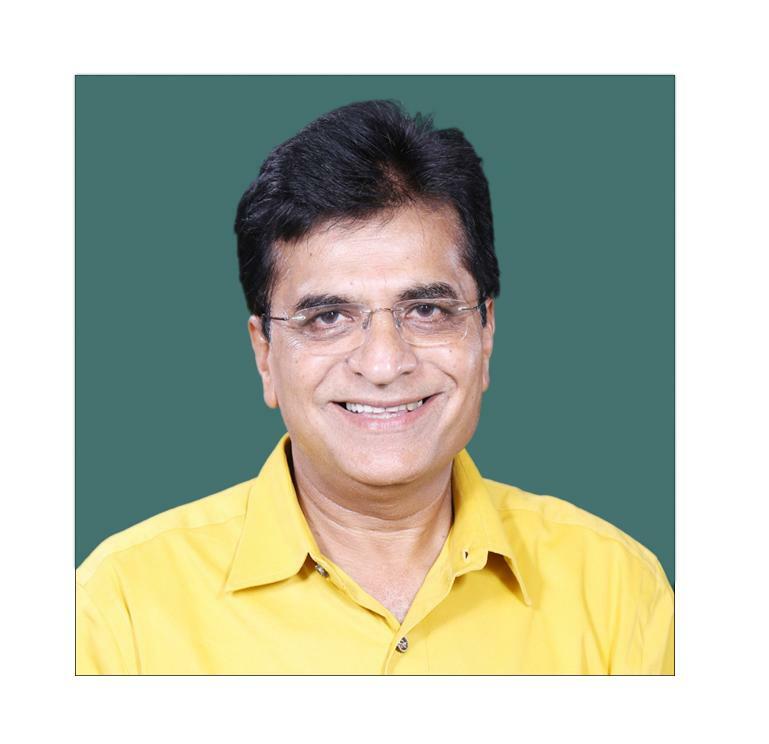 01:10 Dr. Kirit Somaiya, ,Adsul, Shri Anandrao ,Lekhi, Smt. Meenakashi ,Mahtab, Shri Bhartruhari ,De(Nag), Dr. (Smt.) Ratna ,Thota, Shri Narasimham ,Singh, Dr. Satya Pal ,Venugopal, Shri K. C. ,Venugopal, Dr. Ponnusamy , To consider the Draft Report of the Committee. Venue- Room No. 62, First Floor, Parliament House, New Delhi.